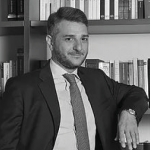 Massimo Monosi graduated at the University of Parma with a thesis on administrative law, and later attended postgraduate courses on tax law at Ipsoa in Milan. Massimo was admitted to the bar in 2009. Massimo specializes in tax litigation, international tax law and international trade. His initial experience was gained with a leading international law firm specialising in taxation matters, and joined Armella & Associati in 2011. His in-depth knowledge of customs law makes him particularly qualified to deal with matters relating to bonded warehouses and international trade. As a specialist in international tax law, Massimo advises Italian and foreign companies and multinational groups on customs planning and the implementation of procedures regarding international trade and AEO certifications. Massimo is an expert in VAT and customs law as it applies to international trade, with particular reference to triangulation within and outside the EU. Massimo frequently speaks at seminars and conferences on behalf of professional associations. A native Italian speaker, Massimo is also fluent in English.